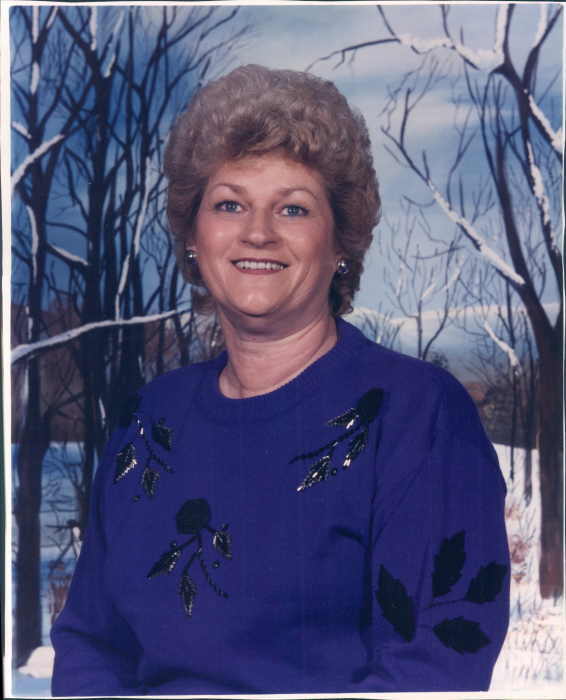 Marjorie Faye Sweat, 78, left her earthly home on March 26, 2019 to eternally dwell with our Heavenly Father. Margie was born and raised in Monarch, Virginia and moved to the Joyner Community upon marriage to her husband of 61 years, Houston Sweat also of the Joyner Community, where she is a member of Union Baptist Church. She is preceded in death by her parents, Roy John and Alice Beatrice (Taylor) Hyden; brother, Bobby Hyden; sister, Doris Ely (Kenneth). She is survived by her husband, P. Houston Sweat; 2 sons, Mark Sweat (Karen) and Tim Sweat (Deborah); 5 grandchildren, Heather Carroll (Mark), Jessica Taylor (Shawn), Robert Harris (Jennifer), Jenny Harris and Allison Sweat; 6 great grandchildren, Aidan Carroll (Autumn), Kaitlyn Carroll, Andrea Taylor, Nicholas Taylor, Isaiah Peddicord and Mia Harris; brothers, Doug Hyden and Gary Hyden. The family will receive friends at Schubert Funeral Home in Wartburg on Saturday, March 30, from 10:00 a.m. to 12:00 p.m. with the funeral to follow at 12:00 p.m. with Rev. Joey Aytes officiating. Interment will follow in the Anderson Memorial Gardens on Oliver Springs Hwy (Hwy 61), Clinton, TN. Schubert Funeral Home is in charge of the arrangements Marjorie Faye Sweat.